At holiday gatherings, select only your favorite hors d'oeuvres, desserts and other treats. Every calorie counts, so why "spend" extra calories on foods you don't truly enjoy? And remember to monitor your alcohol consumption — not only does it add extra calories, it also lowers your inhibitions. That makes it even easier to overeat and choose foods you'd normally avoid! Running yourself ragged to "get it all done"
Staying up night after night baking cookies, wrapping presents, addressing holiday cards and making your child's pageant costume does more than ratchet up your stress levels. Sleep actually alters the hormones in charge of appetite and feeling full, making you hungrier! Studies show that sleep-deprived people eat more, and those extra calories just don't get burned off during the extra hours they're awake. Do your best to get at least six hours of sleep every night, and you'll be less tempted to eat everywhere you go. 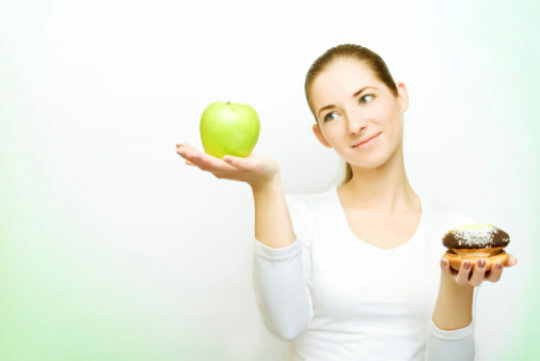 If you need help with weight management, consider a consultation with a registered dietitian or enrolling in a balanced weight management program. Maintaining a good weight will add healthy years to your life!